The son of Mr. Mallaiah and born in the village of Somanahalli of the Mandya district, SM Krishna did his Bachelor of Arts from Maharaja’s College in Mysore, eventually going on to get a degree in law from the University Law College. He graduated from the Southern Methodist University in Dallas, after having achieved a Fullbright Scholarship, and since then, things always seemed bright for this politician from Karnataka. After his return to India, Krishna made it into the legislative assembly of Karnataka in 1962. S.M. Krishna has held the position of MP a lot of times, after contesting from Mandhya right since 1968, in various Lok Sabha terms. He served under Indira Gandhi in the year 1983 and under Rajiv Gandhi during 84 and 85, and Krishna played different roles in various capacities as the Minister for Industry as well as Finance. The decade between 1996 and 2006 saw him become a Rajya Sabha member. He was the speaker in the Karnataka Legislative Assembly and also the Chief Minister’s Deputy in Karnataka between 1989 and 1992, and all these point to the fact that this man needs no introduction to the Indian political scenario. Finally, in the year 1999, Krishna powered the political party to triumph and became the Chief Minister of the state of Karnataka, a position that he cherished till the year 2004. He succeeded JH Patel. He encouraged private participation in the state during his tenure and also went on to serve as the Governor of Maharashtra. 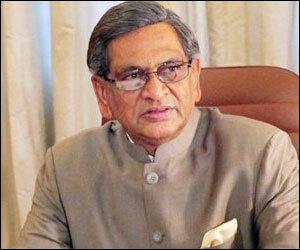 SM Krishna held the position of Cabinet Minister in the Union for External Affairs under PM Manmohan Singh, a post for which he took oath on the 22nd of May, 2009. Krishna enjoys the game of lawn tennis, and regularly practices Yoga and enjoys reading. He is associated with World University Sciences, and visited New Zealand as a member of the Indian delegation with regard to the Commonwealth Parliamentary Conference in 1965. In 1982, he was a part of the delegation sent from India to the U.N, for a meeting that was held in the United States. Krishna is married to Shrimati Prema and is blessed with two daughters.